This rock tee is 100% cotton and is nicely faded from years of wear. 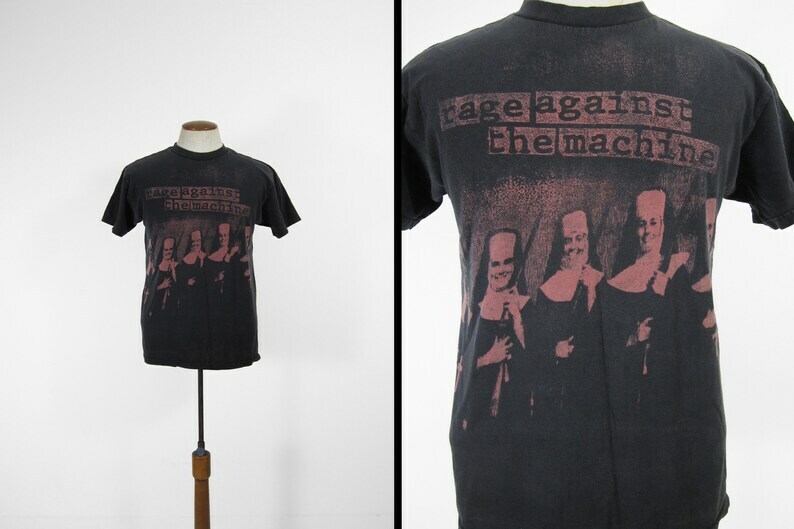 It features the iconic Rage nun graphic on the front. Great condition. This shirt fits roughly like a men's size medium but please compare the measurements below to your favorite t-shirt, laid flat, before purchasing.